If the first few weeks of 2017 have taught us anything, it’s that the year ahead will probably be as chaotic and unpredictable as 2016 – and quite possibly more so. With the inauguration of one of the most controversial presidents the United States has ever elected, or even simply the looming threat of climate change … well, nobody’s going to blame you for wanting a drink. Predicting trends is, of course, an inaccurate art rather than a rigorous science and plenty of prognosticators have gotten it grievously wrong in the past. With that caveat, here are four trends I think will play big roles in what we drink in 2017. 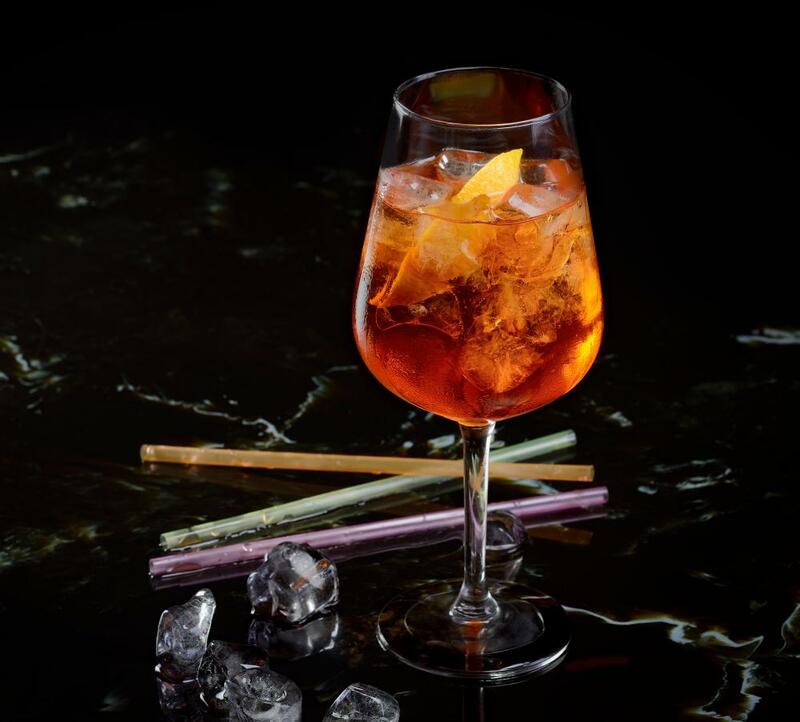 You can’t walk into a bar in Australia or the UK without tripping over an Aperol spritz or a negroni. In the United States, a shot of Fernet-Branca is no longer the “bartenders handshake” – it’s now the shot of choice for anyone looking for some counter-cultural cred. After years of favouring light and suave flavours, consumers around the world are discovering the joys of bitter and often challenging Italian amari. The release late last year of Brad Thomas Parsons’ book Amaro bodes well for the future of these drinks. Parsons has a great knack for timing: his first book, Bitters, came out just in time to chronicle the explosion of new brands of cocktail bitters, and soon became an essential resource for both professional bartenders and amateur cocktail nerds. Amaro looks set to repeat this feat – it’s already in its second printing – and will no doubt introduce drinkers around the world to a number of products beyond the well-known heavyweights of the category. In 2017, we can expect to see more amari make it out of Italy and on to the shelves of your local boutique liquor store, as well as brands that will relaunch and revitalise themselves. My hope is that, beyond more products on the shelves, we also start to see more awareness of the different subtypes of amari, and start to develop a broader taxonomy of these drinks. I also hope we see more awareness of amaro-like drinks coming out of countries other than Italy – a new appreciation for French amers and German kräuterlikörs, as well as an understanding of what makes them different to amari. The paper plane cocktail, invented by Melbourne-born, NYC-based bartender Sam Ross, is a great place to start exploring the joys of amari – it features not one but two different amari, and is dangerously easy to drink. Build all ingredients in shaker. Add ice and shake to chill. Double strain into a chilled cocktail coupe. Garnish with a twist of orange zest. Pair with a show: The American-in-Rome vibe of bourbon meeting two Italian amari suits Paolo Sorrentino’s charmingly OTT series The Young Pope. In his 2016 drinks trend predictions, Portland bartender and spirits author Jeffrey Morgenthaler suggested that vodka might finally make a comeback among the cognoscenti. To an extent, it has – newish products such as Tito’s, Absolut Elyx, Karlsson’s Gold and Aylesbury Duck have resulted in vodka drinks making inroads into menus at craft cocktail bars that previously would have disdained the spirit. Legendary bartender Giuseppe González even dedicated a good portion of the drinks menu at his new venture, Suffolk Arms, to vodka-based cocktails. Does this mean vodka has made its comeback? Well, not quite – there are challenges still ahead for the category. For example: in addition to launching the well-received Elyx, Absolut also recently released Oak by Absolut, a blend of oak-infused vodka, plain vodka, and vodka rested in barrels. It’s designed to claw back some of the market vodka has lost to bourbon and rye whiskey – American sales of Absolut went down 10.7% in the years between 2010 and 2014 – but it sends a thoroughly confused message. Is it supposed to act as a gateway for vodka drinkers to dip their toes in the world of whiskey, or is it supposed to lure back former vodka drinkers who have already taken to bourbon and rye? Right now, he says, the trend is to sell the brand as a “craft” product – even if it’s not necessarily craft: “You have to watch out for people who use the word ‘craft’ for craft’s sake – is that positioning really authentic, or has it taken over from what used to be glam and glitz?” For McCanta, the future of the category in authenticity – brands returning to their core strength of making good vodka and cutting out the flim-flam. 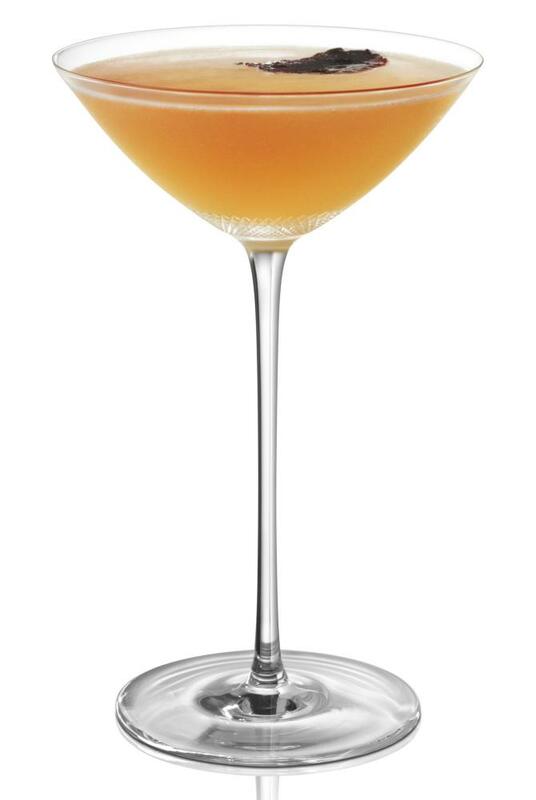 One of McCanta’s own original cocktails, truffe d’hiver, is a good showcase of what vodka can do in a mixed drink – the subtle aroma of truffle and the nuances of the fino sherry would be lost if you were to replace the vodka with something more robustly flavoured. McCanta originally created this cocktail for Grey Goose – I first sampled it as a guest of the company at one of their events – but you can use any high-quality, relatively neutral vodka when making it at home. Build all ingredients except the garnish in shaker. Add ice and shake to chill. Double strain into a chilled cocktail coupe. Garnish with either freshly grated truffle (if you have some lying around) or three drops of truffle oil. Pair with a film: Kim Nguyen’s The Empire of Scents, which features truffle hunters waxing lyrical about truffles’ unique aroma. Within the wine world, few subjects used to be quite so divisive as so-called “natural wines”: wines made using organic or biodynamic grapes and indigenous yeasts, bottled without filtration and preserved without the aid of sulphites. The natural wine set certainly diversified what we drink. It’s thanks to their efforts that wine regions such as France’s Jura and Georgia’s Kakheti are back on the map, that ancient production methods such as ceramic amphorae have returned, and that formerly rare styles of wine such as orange wines (wine made from white grapes macerated with their own skins for extra tannins and pigment) and pétillant-naturel wines (lightly sparkling wines that have not undergone a secondary fermentation, unlike champagne) have returned to restaurants and bars. Such wines attracted a fiercely loyal following amongst a certain type of wine drinker – often younger and trendier – while attracting scorn from the wine establishment, who characterised natural wines as faulty, with overbearing volatile acidity or barnyard funkiness from the wild yeasts. That was then. More recently, there’s been a rapprochement between the establishment that used to spurn natural wines and the trendsetting vignerons making these sometimes-challenging drops. As wine critic Jon Bonné notes, the category is now “as close as it probably wants to be to mainstream”. Which is great news for lovers of natural wine – it means that their neighbourhood bar is more likely to serve an orange wine or a pét-nat by the glass. But with this greater cultural footprint comes some responsibilities for natural wine makers, such as ensuring consistency of product and doing more to prevent spoilage. Consumers who have turned on to natural wine risk being turned off it if buying a bottle of a favourite brand feels like something of a lottery. I suspect that 2017 will be the year that a faddish and uncritical approach to natural wine dies, to be replaced with a longer-term embrace of natural techniques by the industry. The growing demand for orange wines and pét-nats will mean larger-scale producers who have formerly not dipped their toes into natural wine could start doing so – Australian producer Airlie Bank’s collaboration with natural wine proselytisers Blackhearts & Sparrows could prove to be a model. At the same time, natural winemakers may cease to be quite so dogmatic about certain practices – I suspect we’ll see more “natural” wines with a tiny touch of sulphites for longevity and consistency’s sake, and an embrace of orange wines that aren’t wildly cloudy in the glass. In short: we’ll hear less talk about natural wine, yet see more people actually drinking it. Cheers to that. The past few years have witnessed a boom in the number of tiki bars opening across the world, led by high-profile US operations such as Martin Cate’s Smuggler’s Cove, Jeff ‘Beachbum’ Berry’s Latitude 29, and Paul McGee’s Lost Lake. It’s easy to see the appeal of tiki drinks for consumers – they’re fun and approachable, loaded with delicious and easy-to-recognise flavours (various fruits, honey, household spices, etc), and they come out of the bar with phenomenal garnishes and presentation. But many of those same virtues make traditional tiki drinks difficult to pull off for a busy bar – you have to get in special tiki mugs, spend hours preparing unusual syrups, and navigate byzantine recipes (the classic zombie recipe contains ten separate ingredients) before topping them with an elaborate garnish. It’s little wonder that, with only a few exceptions (such as the evergreen mai tai) tiki drinks can usually only be found in dedicated tiki bars. And while it’s great fun to pop into the kitschy surroundings of a fake Polynesian pirate’s rum lair for a night, the theme can sometimes feel like a little too much. 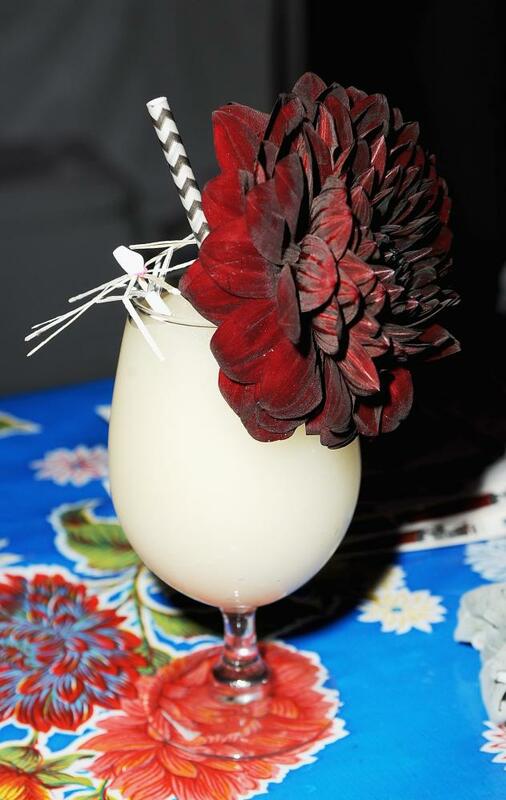 Bars can borrow a bit of tiki’s retro-nostalgia, though, by serving some of the tropical drinks that came just before or after tiki – simpler concoctions that still have tiki’s fun approachability without all the hassle. The pre-tiki Queen’s Park swizzle – a hefty pour of rum, lime, sugar and mint, swizzled with finely crushed ice and topped with a rosy crown of Angostura bitters – is making its mark in bars across the United States as a replacement for the now-reviled mojito, and I suspect that the classic planter’s punch – dark rum, lime, sugar and either water or cold black tea – will soon join it. More recent drinks that see tiki staples mashed up with current favourites or on-trend ingredients like Campari – such as Martin Cate’s mai tai spritz and the jungle bird – are also proving popular. Expect to see more of these tiki-lite drinks pop up on bar menus throughout 2017. Another proto-tiki classic that deserves to make a comeback is the airmail – basically a fancified daiquiri topped with sparkling wine. You’ll want to make the honey syrup for this one in advance rather than using raw honey, which tends to gum up inside a cold cocktail shaker. Build all ingredients except sparkling wine in shaker. Add ice and shake to chill. Double strain into a chilled cocktail coupe. Top with sparkling wine. Garnish with a twist of lime peel and a sprig of fresh mint. Pair with a film: Carol Reed’s 1959 adaptation of Graham Greene’s Our Man in Havana.